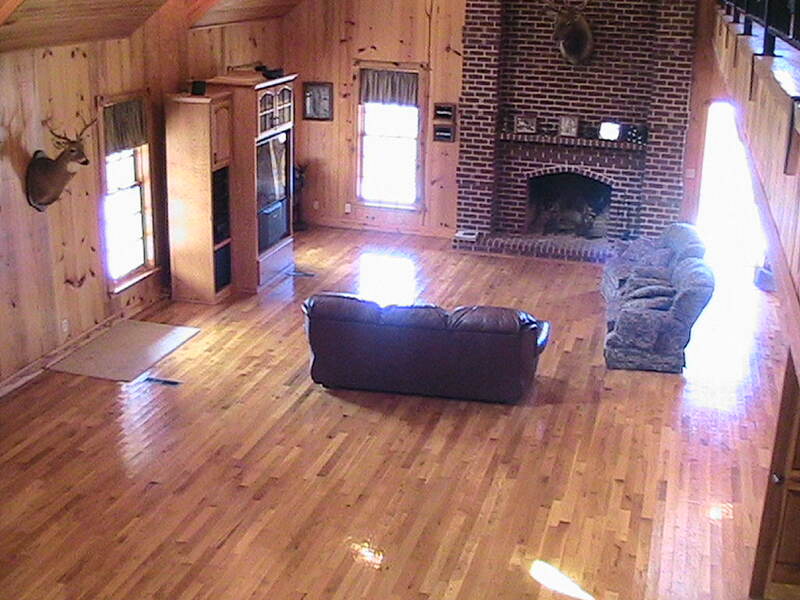 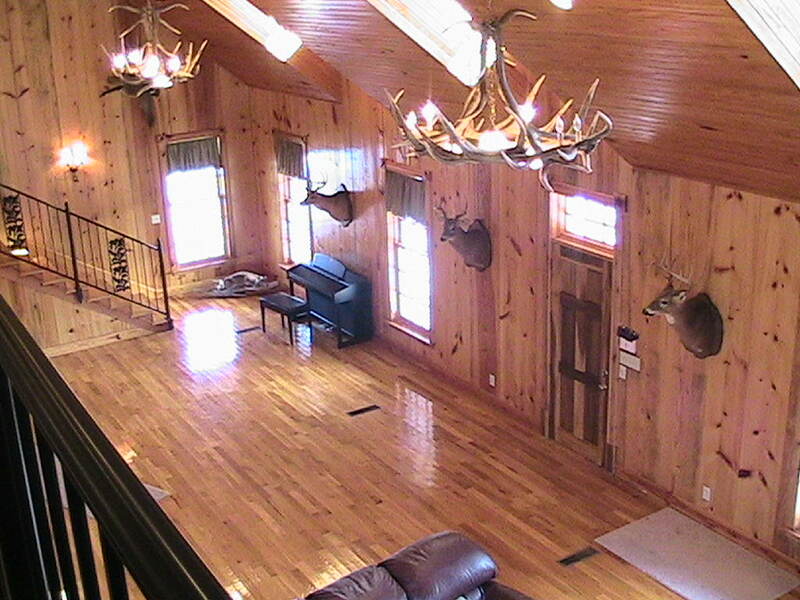 Inside, the stunning lodge is over 6500 square feet with 7 bedrooms and 7.5 bathrooms built out of Southern Yellow Pine milled on the property. 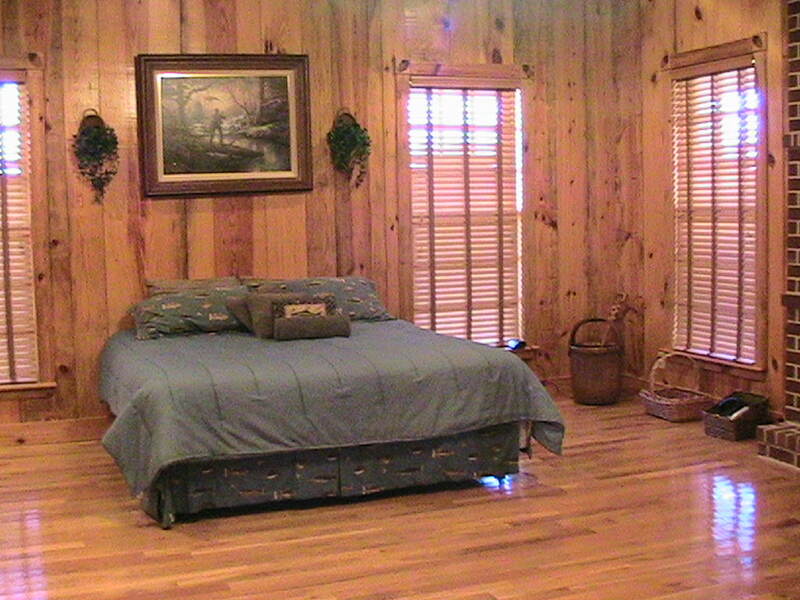 Each room is uniquely decorated in a comfortable yet elegant style. 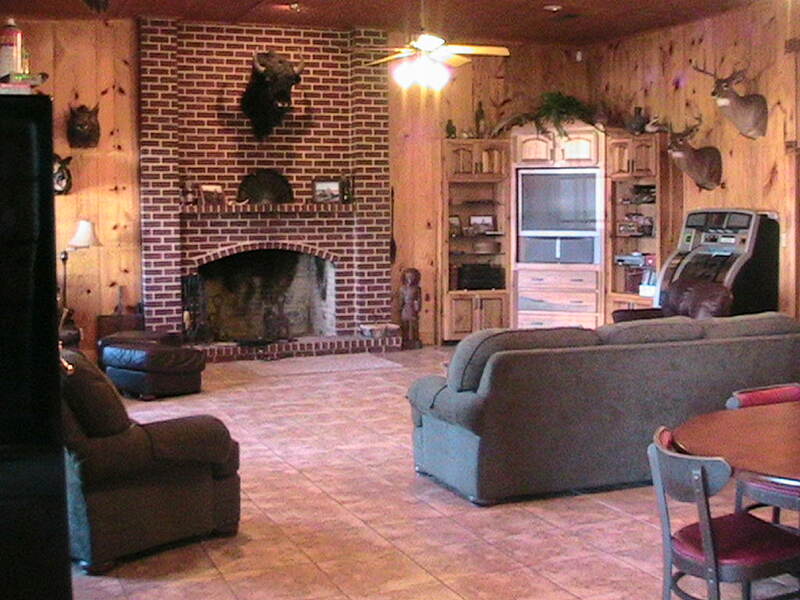 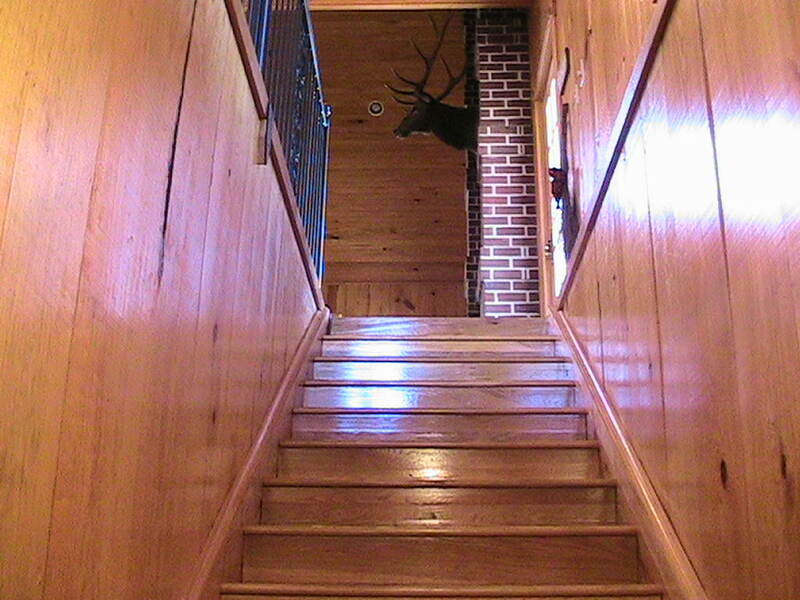 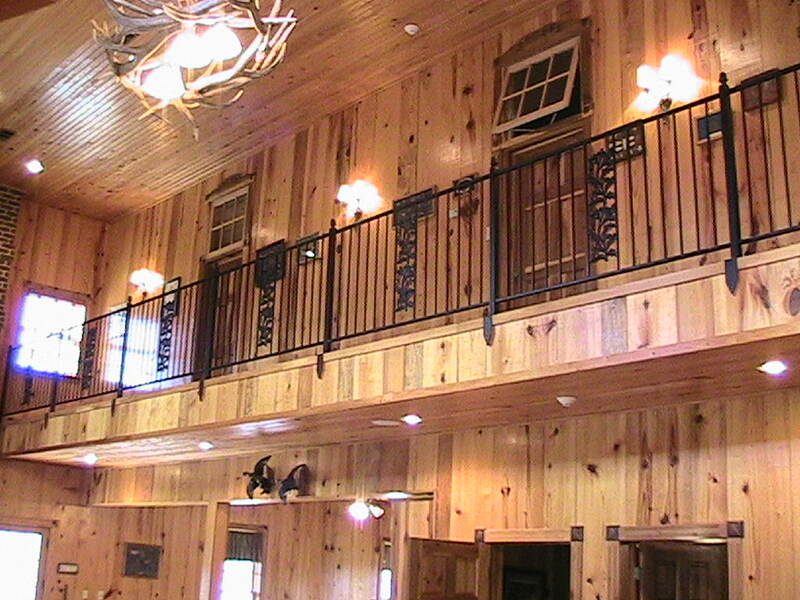 Additionally, the common area is decorated with classic lodge decorations, displaying some of the other trophies bagged on previous successful hunting trips. 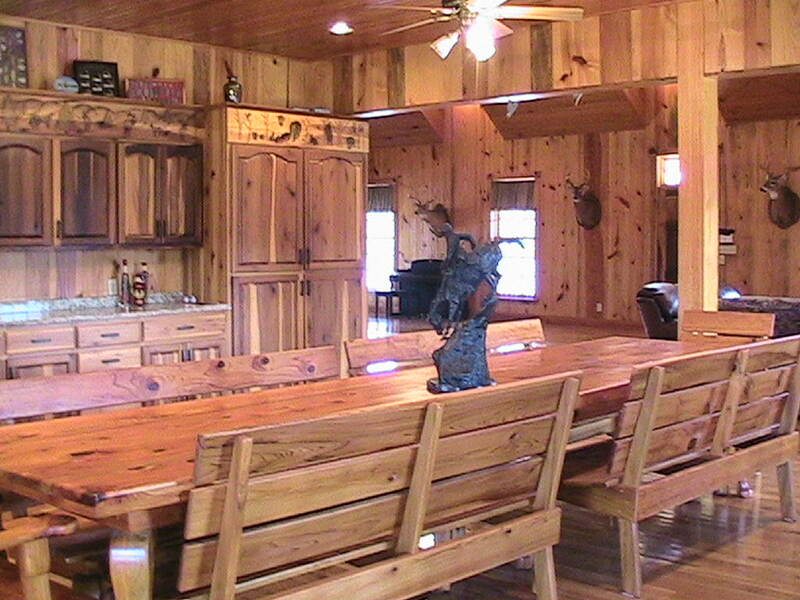 This warm and rustic environment is displayed throughout the house, and makes all guests feel comfortable and at home. 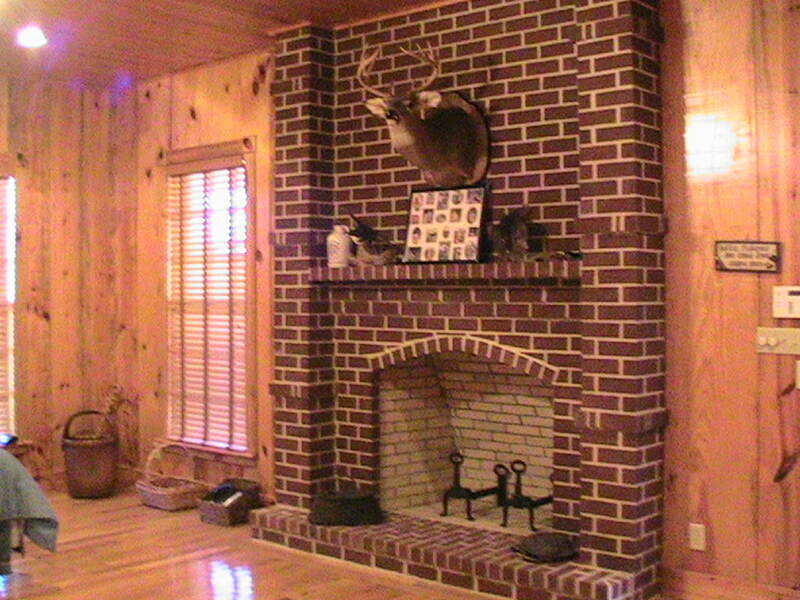 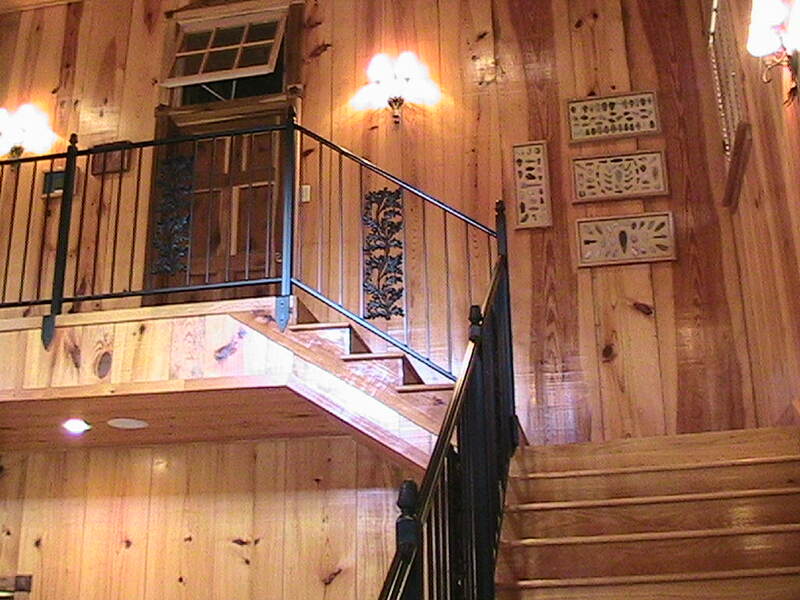 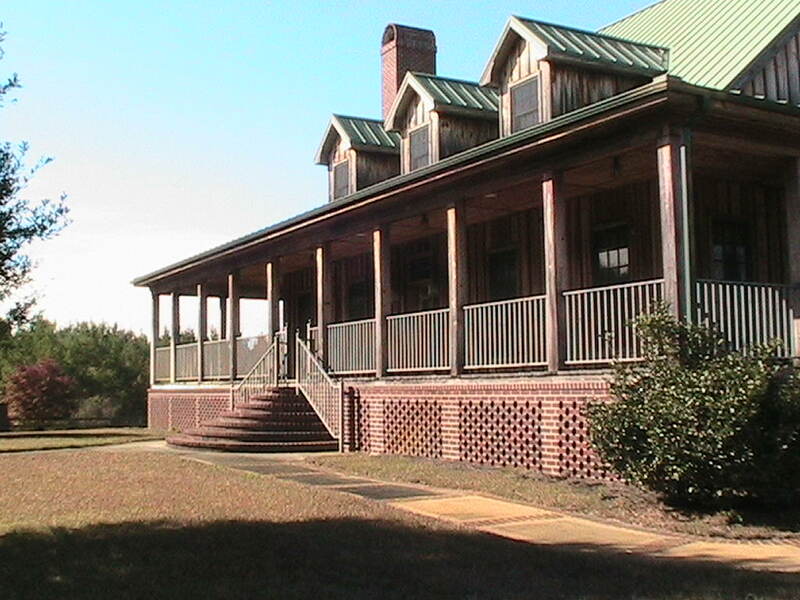 Located in Abbeville, Georgia on 3000 acres of beautiful woodland, with over 6 miles of beautiful river frontage and the stunning 65 acre Cypress Lake available for fishing and other waterfront activities, Gum Log Plantation has many outdoor amenities available to the guests. 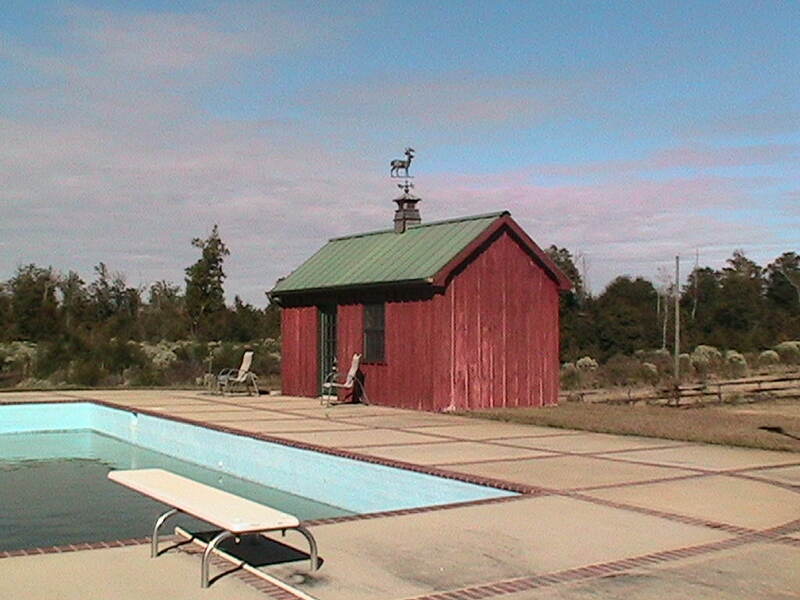 Also, there is a beautiful swimming pool for the guests to make use of. 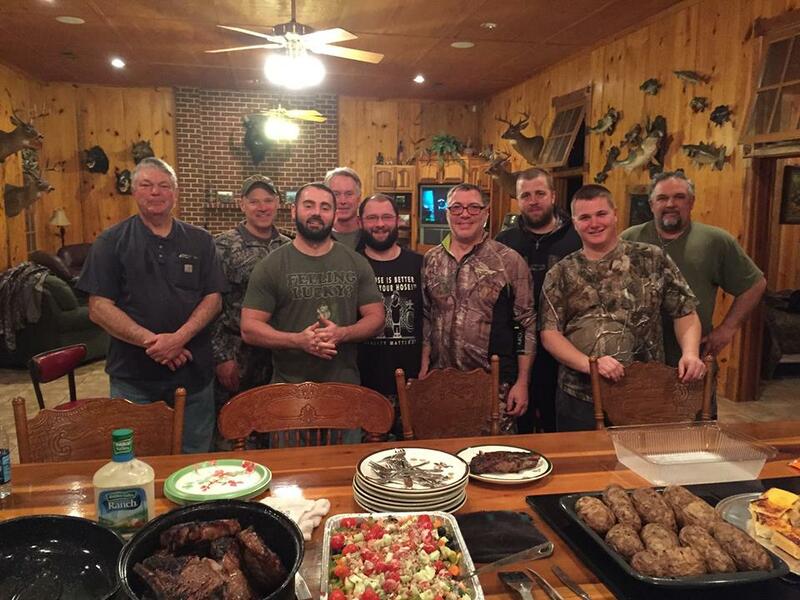 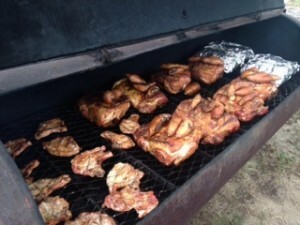 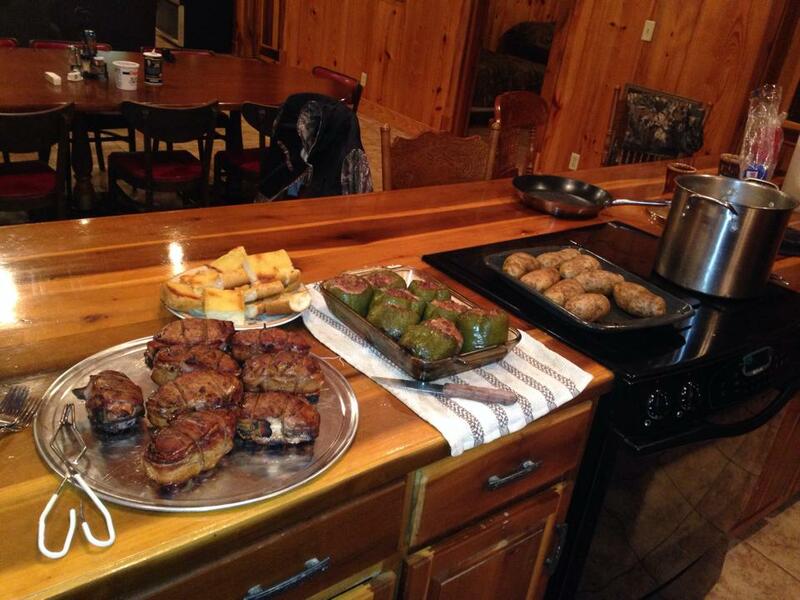 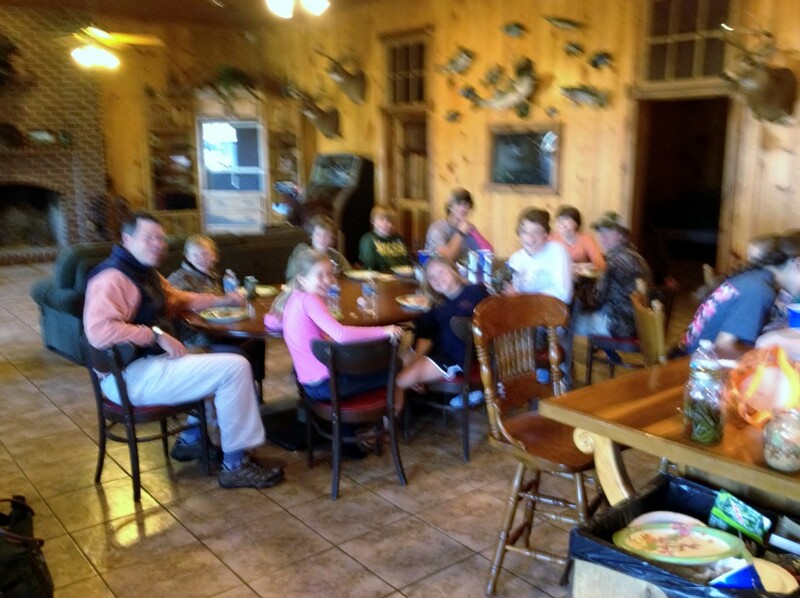 The food at Gum Log Plantation is provided and cooked by the owners of the lodge. 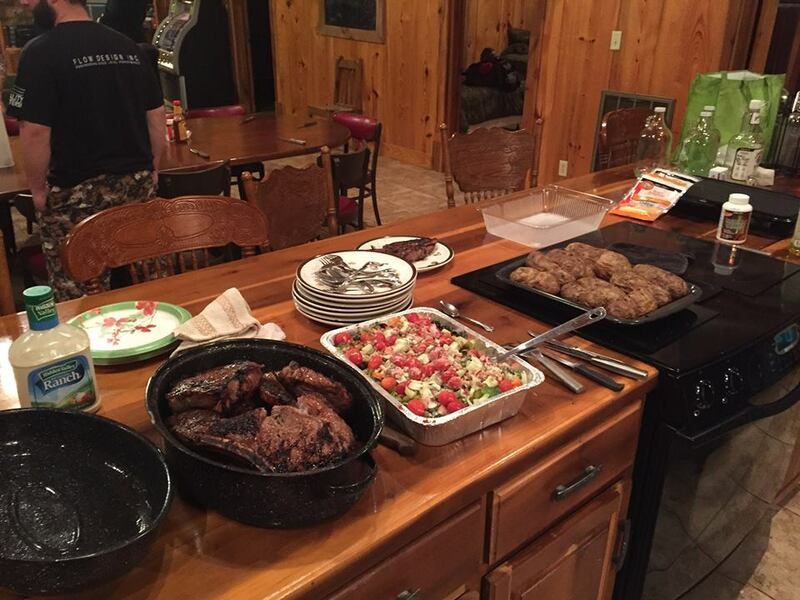 Home cooked, delicious food is made to suit the tastes of the guests. 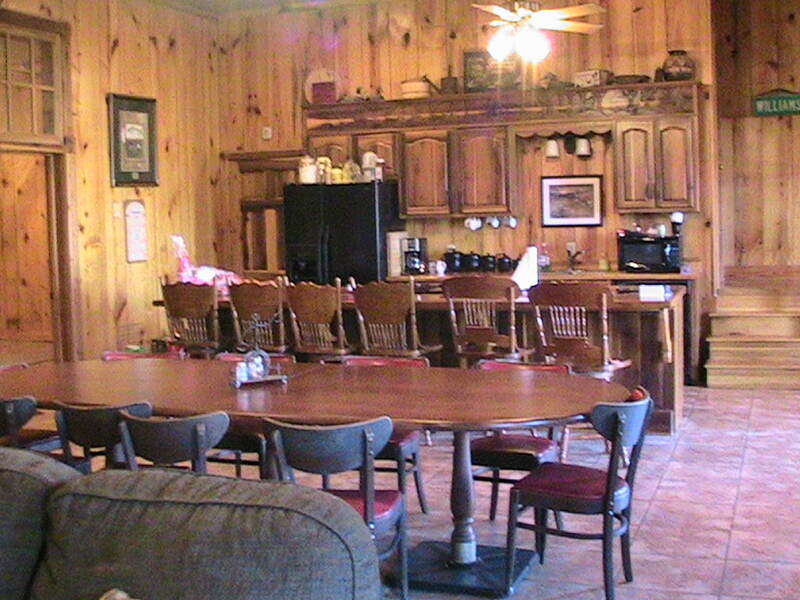 The guests that come to Gum Log Plantation dine on delicious food that is prepared on location at each meal time, so that the guests feel at home in every aspect. 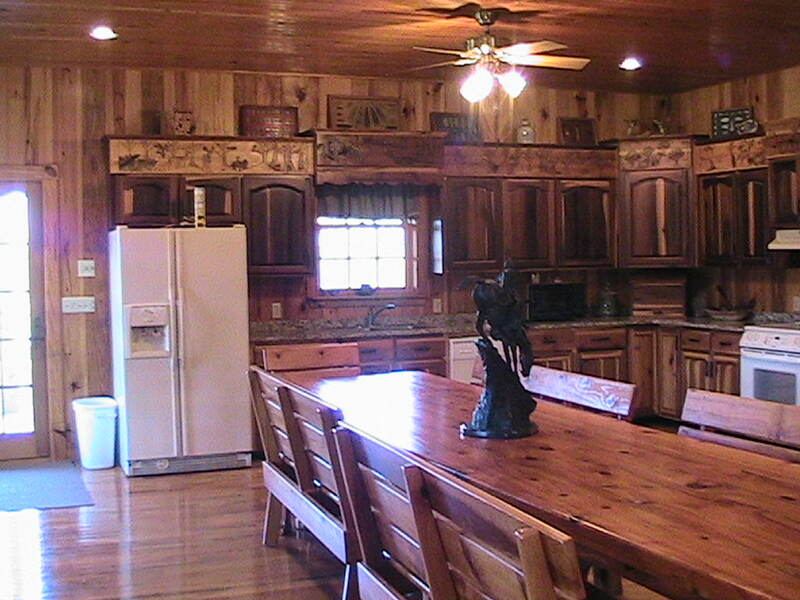 Meals are served in the kitchen at a long, wooden dining table. 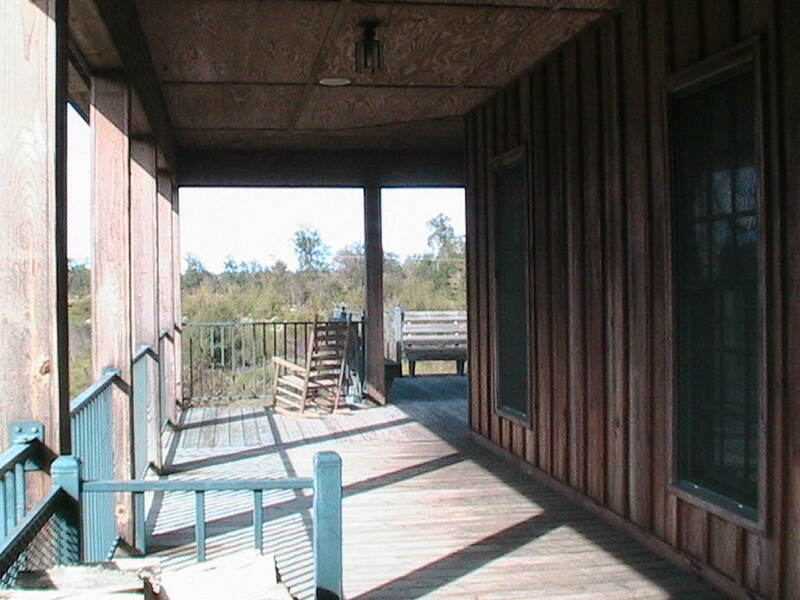 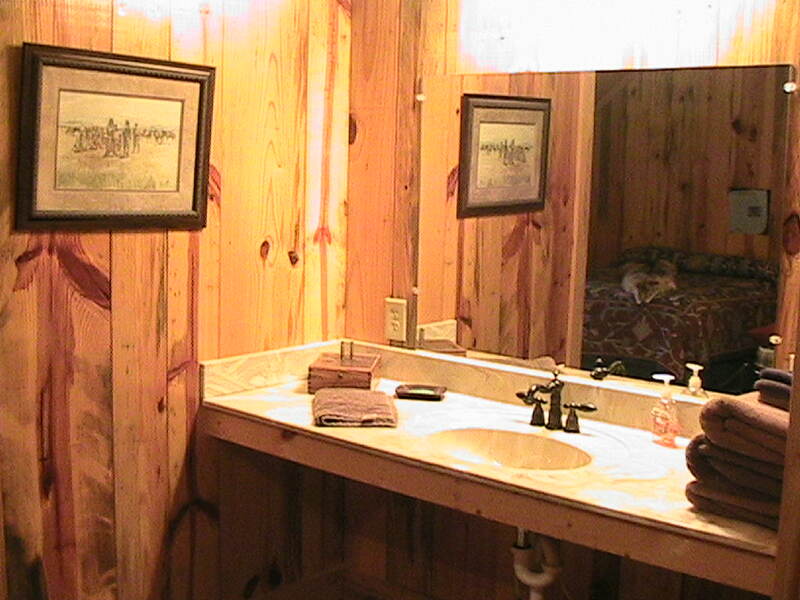 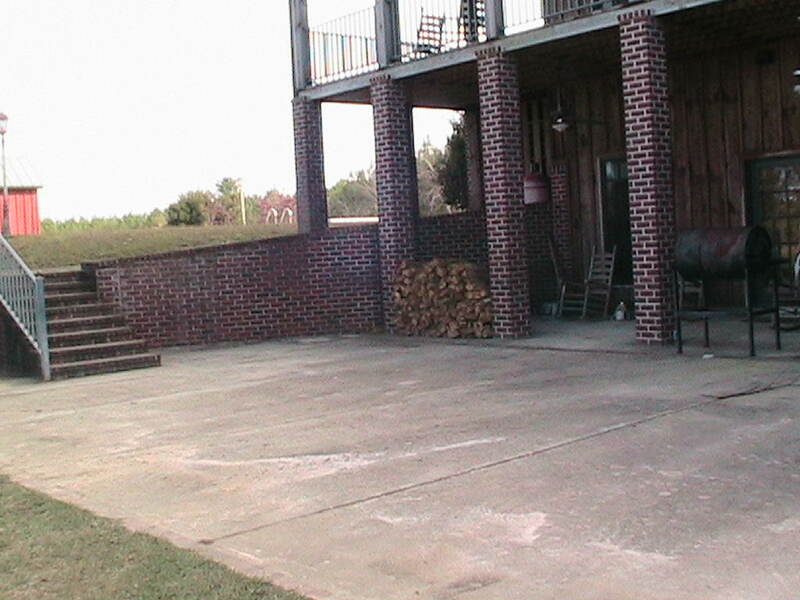 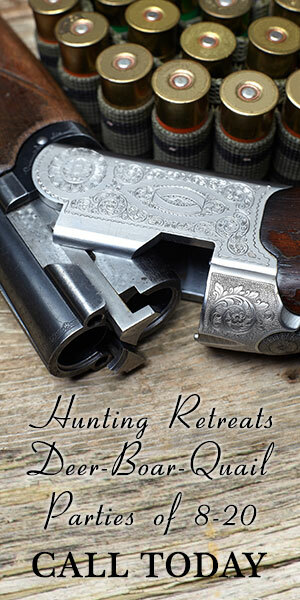 Gum Log Plantation strives to provide a memorable experience with all of of its accommodations.